Description: Our Sunset Cruise is a family friendly trip for kids as young as 4 years old. 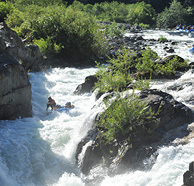 We meet at 5PM, and raft through a river canyon that seldom gets rafted. Gentle class I and II rapids make this trip an awesome introduction to rafting in a beautiful setting. Itinerary: We begin our trip near the Confluence of the Middle and North Forks of the American river, just below the town of Auburn. 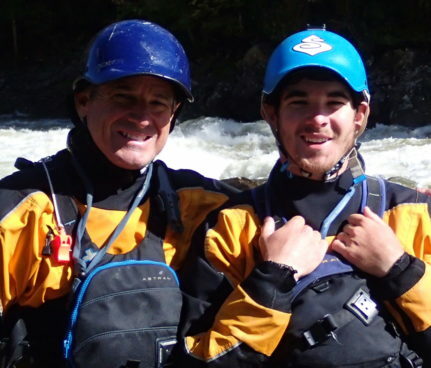 Our 5 PM meeting is timed for when the flow from our class IV Middle Fork trip trickles down to the lower, calmer section of the Middle Fork.Great for families with younger kids, ages 4 and up, this is a great 2 hour float trip and way to introduce them to rafting. 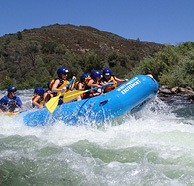 This river rafting trip has bouncy, fun, and exciting class 1 and 2 rapids for the younger ones. 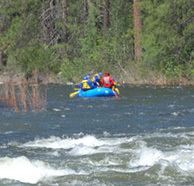 There is time to relax, hop out of the raft for a quick swim in the river, pick blackberries, and soak up the awesome scenery of the Lower Middle Fork of the American river. A perfect amount of time for everyone to have a great time on the river.